Culture does not underpin society, as the notion of »cultural roots« suggest. Culture, according to Walter Benjamin, has always been an expression of dominance. 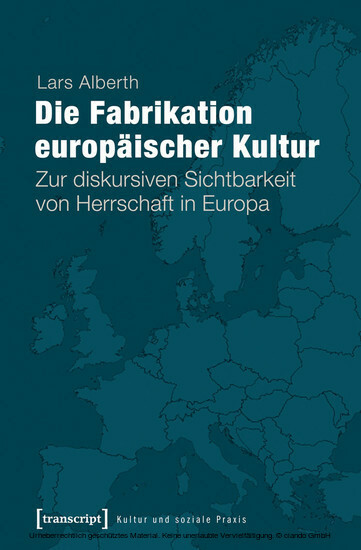 Considering the example of the Berlin Conference, during which representatives from European politics and civil society discussed »Europe's soul«, Lars Alberth works out from a discourse analytical perspective which partisan narratives of European culture are developed, against which non-European outsiders these are directed, and who is thereby recognized as a part of Europe or systematically excluded and forgotten. Lars Alberth (Dr. rer. soc.) ist Soziologe an der Universität Umeå, Schweden. Seine Forschungsschwerpunkte sind Kindheits-, Kultur- und Körpersoziologie in einer macht- und herrschaftsanalytischen Perspektive.